John A. Heald brings significant experience to his firm and his clients. 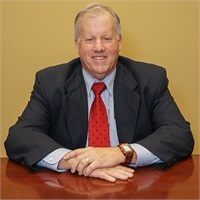 He began his career in 1981 with CIGNA Individual Financial Services, where he spent seven years developing comprehensive planning skills and a commitment to his clients. John's dedication to personalized service led him to become a partner in a registered investment advisory firm specializing in financial planning, and ultimately to establish Heald Financial Advisors in 1993. John has devoted his energies to developing a firm that maintains the highest professional standards and employs talented and devoted professionals. Throughout his career, John has sought to provide the highest quality of advice, founded in professional experience. A graduate of Gettysburg College, he earned his Bachelor’s degree in Business Administration. John is an Investment Advisor Representative and Registered Representative with LPL Financial. He holds Series 7 and Series 24 securities registrations through LPL and is licensed to sell life, health, and annuities. John is a Certified Financial Planner™ and has earned the Chartered Life Underwriter (CLU) and Chartered Financial Consultant (ChFC) designation from the American College. John lives with his wife, Cynthia, in Moorestown, New Jersey and is an active member of the community. He serves on the Board of Trustees for Brookfield Schools, attends Faith Presbyterian Church, and is a member of Tavistock Country Club. John’s hobbies include traveling with Cynthia and playing golf, tennis, and pickleball.